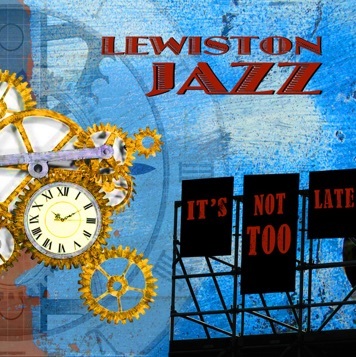 Lewiston Jazz released their second album It’s Not Too Late on April 4th, 2014. It’s Not Too Late contains ten songs, featuring nine original band-penned compositions. The music was recorded at 25th Street Studios by David Lichtenstein in Oakland, California in July and December, 2013. 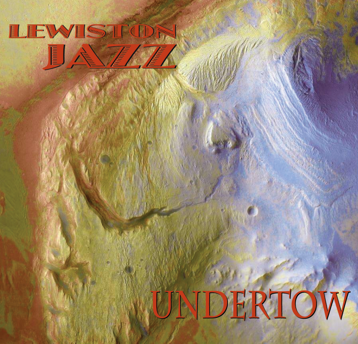 The album was mastered by John Schimpf and produced by Lewiston Jazz. “This quintet and album are superb . . . the creativity and complexities make this recording both intriguing and compelling.” —Randy C.
Lewiston Jazz released their third studio recording on April 21st, 2018. Undertow contains 13 new songs written and performed by the band. The music was recorded at 25th Street Studios in Oakland, California. The album was engineered by Scott Bergstrom, mixed by Gabriel Shepard, mastered by John Schimpf and produced by Lewiston Jazz. “Everyone loves Lewiston Jazz. Believe me.” —Donald T.